A dog agility course can take on many different shapes and patterns depending on who sets it up. In fact, the first thing all handlers must learn about agility competition is that no two courses are ever exactly the same. That is done by design. It is intended to show how your dog can handle the individual pieces of equipment and how well he does at following your commands to guide him through any given layout. Since the various hosting organizations have their own approach to dog agility courses, it is worth your while to look into the specific rules and regulations of the organization you are dealing with to get a better idea of how they work and what you might expect when it comes to competition. Check out their printed guidelines and go and watch a competition firsthand if you can, as that can be a valuable learning tool. 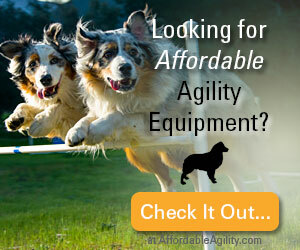 In terms of agility training, if you are intent on competing it is important to make sure that your dog learns to navigate all of the main pieces of equipment. These included standard and tire jumps, chutes and tunnels, teeter totter, A-frame, dog walk, pause table and weave poles. 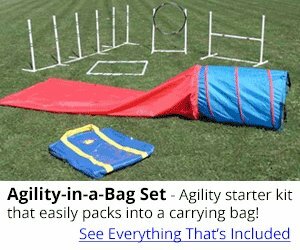 The better your dog can learn each of these individual pieces the better he'll be able to handle a dog agility course, no matter how it is laid out. While an agility course may have many different layouts the one thing that remains the same no matter what is the communication between you and your dog. That is the real key to agility work and if you can develop a strong bond with your dog you should be able to handle anything that competition throws at you. It's all about sharpening your dog's ability to follow commands and improving his obedience level, which is important for life in general as well as competition. Many of the organizations that host competitions will allow handlers to walk through the course without their dog prior to competing. But there is never an opportunity for the dogs to run through dog agility courses before they compete. That's why they rely on their handlers to figure out the best way to get them through a course and to guide them through it safely. Original file. Created by User:Elf, modified by User:Red Act. An agility course map shows you the layout and order of obstacles. Agility course maps like the one above are created with course designers like Clean Run Course Designer (CRCD). Your role as a handler is to prepare your dog for any dog agility course so that nothing will trip you up. The more you vary your training, mixing up the equipment and doing extra work on areas where it is needed, the better prepared you'll be for competition. Then you'll be able to breathe easier knowing you're giving it your best and getting the most out of your canine companion. 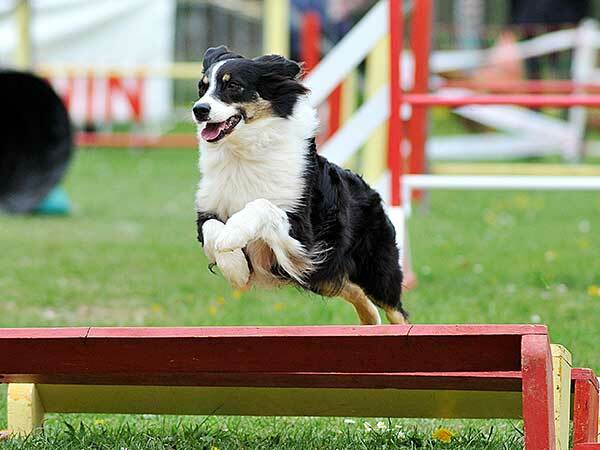 There is a lot to love about agility competition, provided you don't forget the basics of training. Remember it's all about that bond. Making sure that handler and dog are on the same wavelength will make completing any agility course a breeze. Nothing can trip you up when you've got that solid foundation of trust to build on. Ready For Dog Agility Competition?